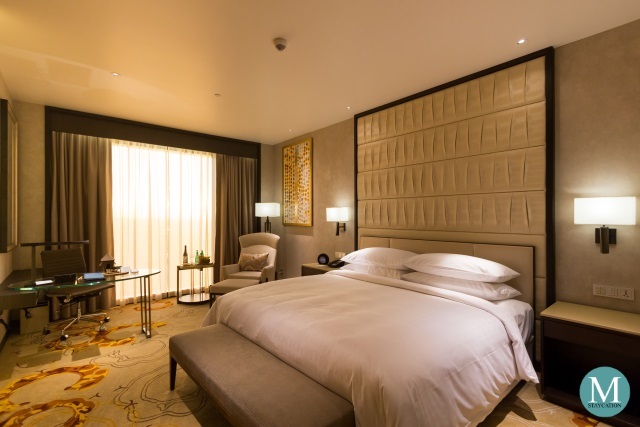 The Deluxe Room is the lead-in guestroom category of InterContinental Saigon. 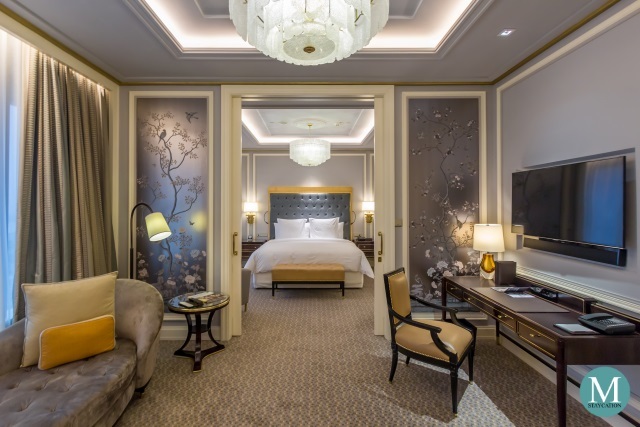 The room measures 38 square meters, which is larger than most five-star hotel guestrooms in Siagon of similar category and price range. Guests staying in a Deluxe Room will be welcomed by a platter of fresh fruits served in a nón lá, the iconic conical hat in Vietnam. 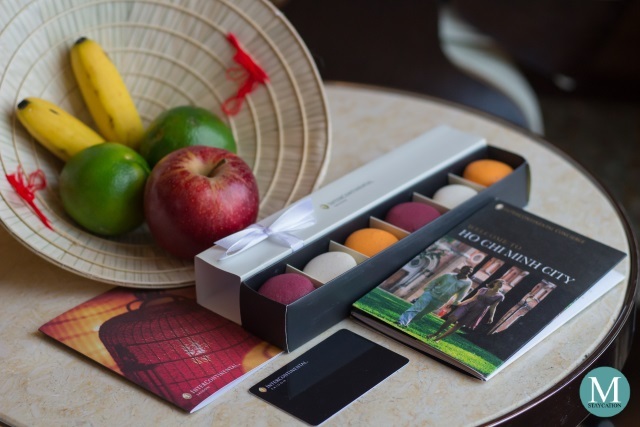 The welcome amenity also comes with a box of macarons which celebrates the French heritage of Vietnam. Guests visiting Saigon for the first time will find a city map very handy when exploring the city. 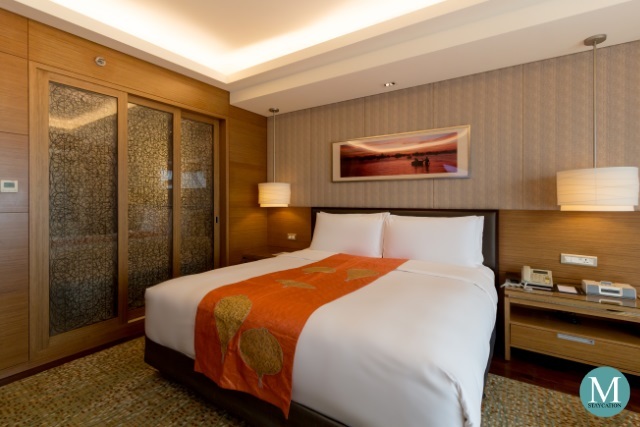 The Deluxe Room has the typical hotel room layout. Upon entering the room, the closet cabinet will be on one side of the foyer, while the entrance to the bathroom will be on the other side. The closet cabinet has several storage spaces for folded and hanging clothes. 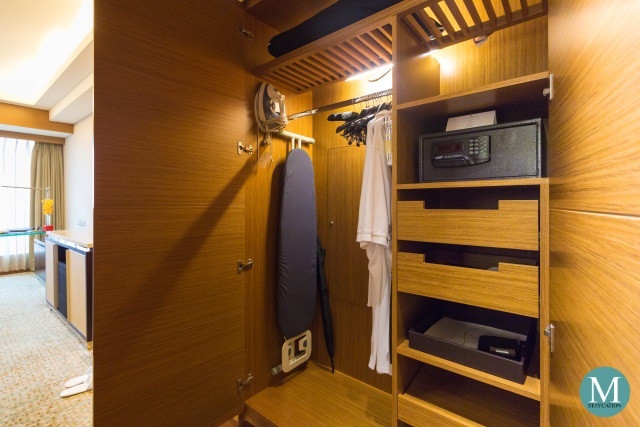 An iron and ironing board, as well as the electronic safe are also housed inside the cabinet. 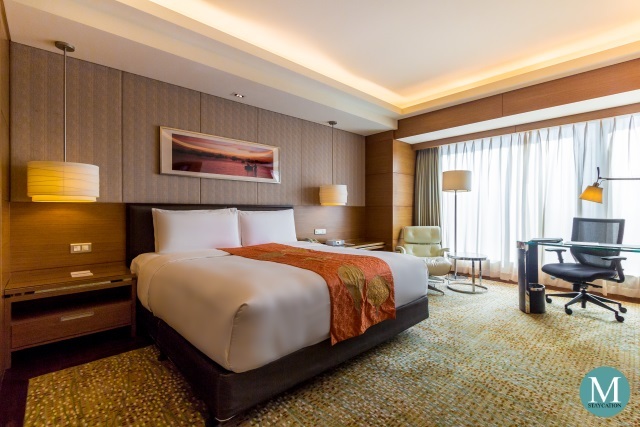 The main bedroom area is furnished with a king bed or twin bed, two bedside tables, an executive writing desk with an ergonomic chair, a white leather arm chair and a coffee table. 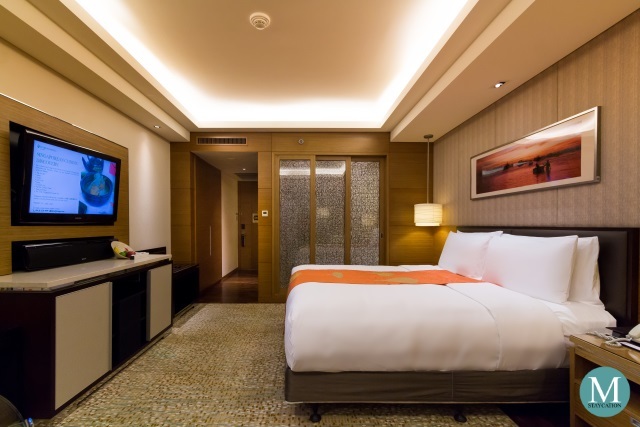 A huge LED television is mounted right in front of the bed and right above the minibar cabinet. The television has both local and international cable channels and has an impressive sound system. 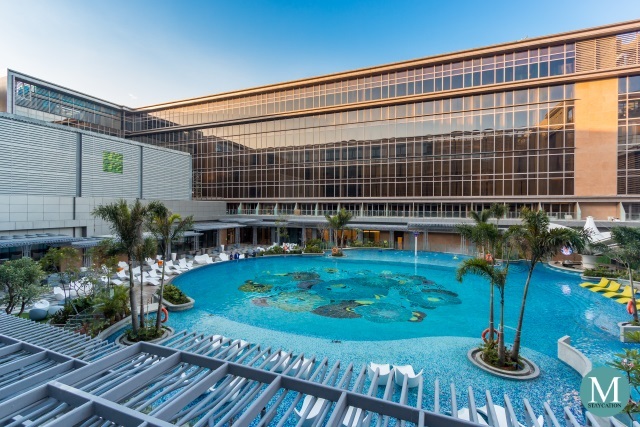 Just like any InterContinenal hotels and resorts, the InterContinental Saigon placed to priority to the sleep quality of its guests. This Deluxe Room has one of the most comfortable beds I tried. The mattress was not too firm and had excellent cushioning that adjusts to the curves of the body. The linens were very fine and soft to the skin while the pillows had perfect neck support. 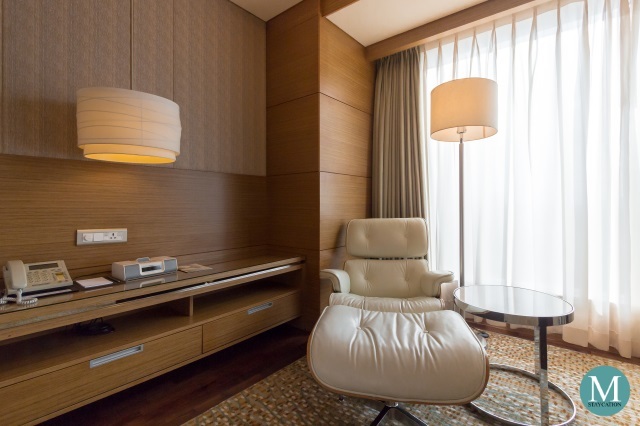 As mentioned earlier in the article, the Deluxe Room has a white leather arm chair and a coffee table. This is an excellent place to relax while channel surfing or watching the news on TV. There is also a phone docking speaker which you can use to charge your phone and play music at the same time. WiFi internet is available inside the room so you can easily keep up with work or up to date with your social media feed through your mobile phone. 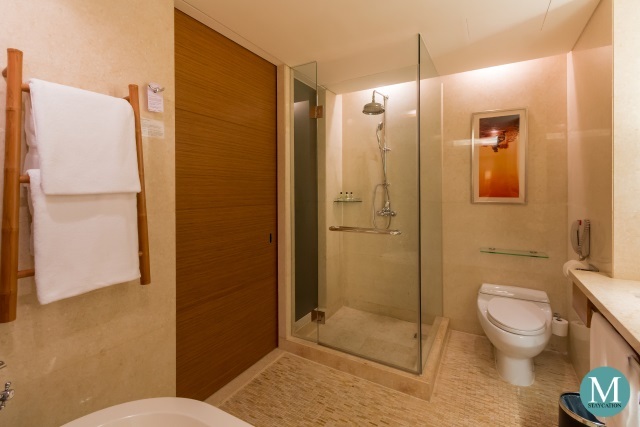 The Deluxe Room has an equally spacious bathroom. Although it only has a single vanity, two persons can comfortably move around the bathroom. 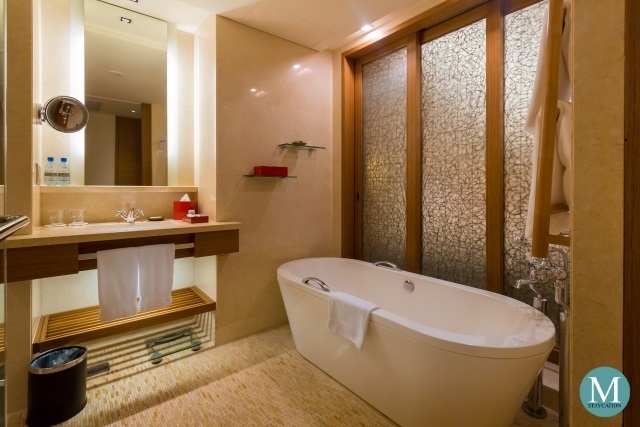 Just like in most InterContinental hotels, all rooms at the InterContinental Saigon have a bathroom with bathtub. The glass wall separating the bathroom from the bedroom actually consists of three sliding glass panels. The bathroom has a separate walk-in shower complete with a rainfall shower head and a handheld shower head. Water pressure was excellent and consistently strong anytime of the day. Large size towels are provided, as well as two sets of bathrobes. 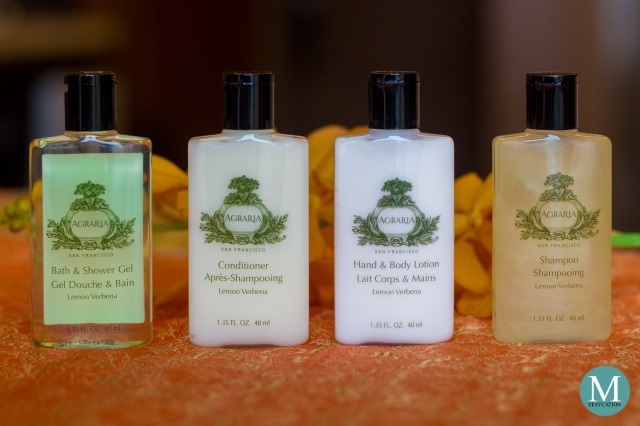 Lemon Verbena body and bath amenities by Agraria are replenished daily.